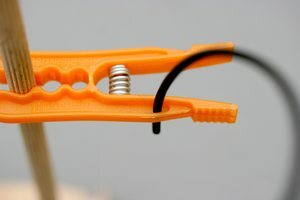 The drop interval can be adjusted by simply changing the level of the tube outlet relative to the water level in the bottle. Of course the outlet must keep below the water level. The bigger the level difference, the shorter the drop interval. Too large level differences will result in a continuous water stream. 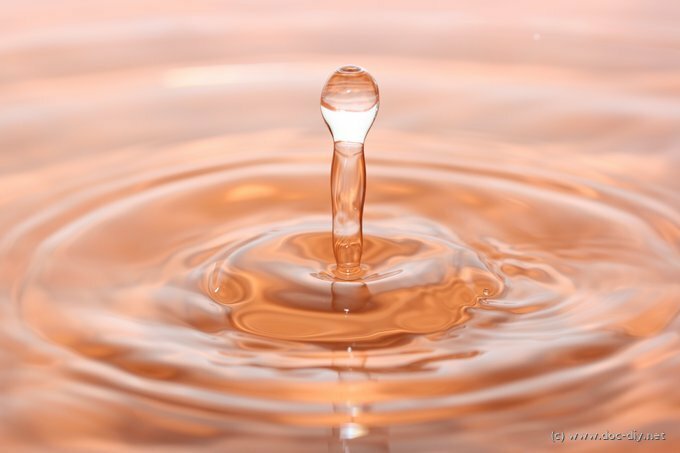 If you are interested in physics you might want to know that the dependency between the water level in a tank and the fluid flow speed in an opening in the wall of the tank is called Torricelli's law. 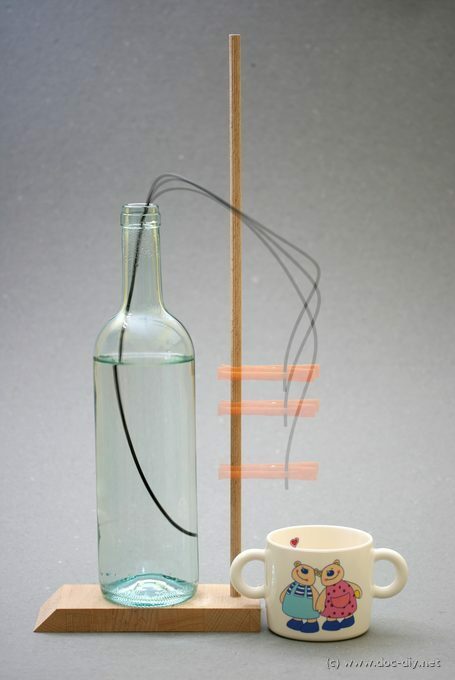 Depending on the bottle diameter, the drip interval will steadily decrease with a different rate, because the water level in the bottle will go down until its equal to the outlet level and the dripping stops completely. This decrease of frequency can be used to achieve nice strobe effects. 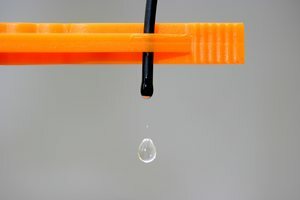 Firing the flash or triggering the camera with a constant interval similar to the initial drop interval will result in capturing the drop in different phases. You like to order essays for sale about this post, using the help of the research paper writing services. You definately will need use plagiarism checker. Now, you don’t have to worry about getting a failing mark simply because you have been accused of plagiarizing someone else’s work. Wow I must commend the post for details and well illustrated sample of the DIY done. Good work!